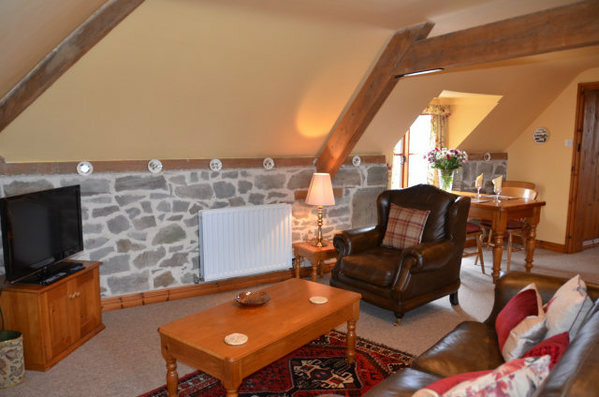 We offer self-catering in the new Byne Brook Cottage and our two comfortable, spacious and peaceful stable conversions: Swallows Nest & Robins Nest. Both apartments are located close to the farmhouse and Swallows Nest, situated on the ground floor, holds a National Accessible Scheme Category Level 2 and is therefore suitable for people with limited mobility. We are just ten miles away from the gastronomic delights of Ludlow, renown throughout the UK for the quality of its eating establishments. Ample off-road Car Parking is available for guests. Click on the links below for details & photographs of each unit. Sleeps 6, a delightful detached three bedroom cottage offering spacious accommodation for family and friends. Download our access statement in PDF format.